A typical size of commercial fountain serves about 200 people at a time. If you have a large event with more guests, you may need to order more fountains. With more fountains, you can blend in various favors of chocolate, such as dark chocolate, milk chocolate, or white chocolate. 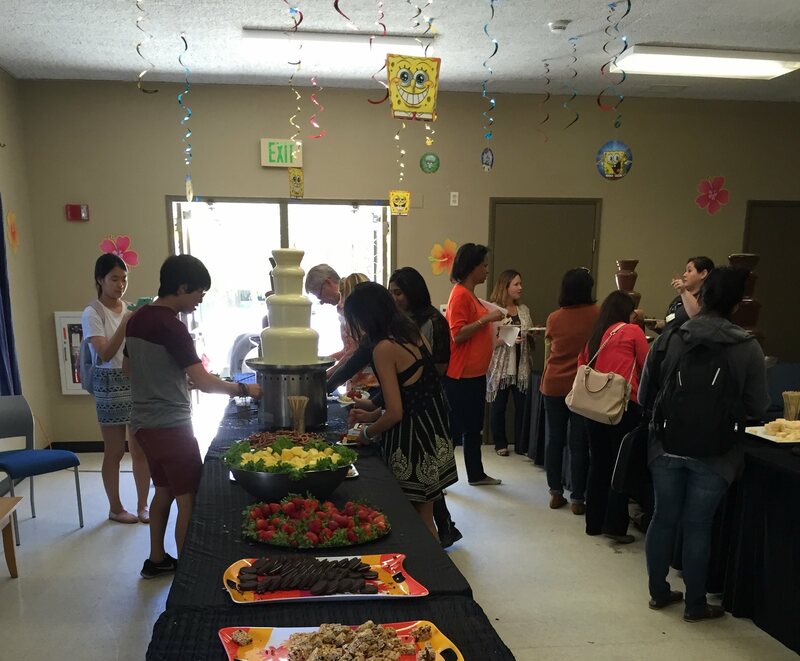 In Chocolate Fountains of San Diego, we have different size of fountains ranging from 18″ to 34″, and enough fountains to hold a large party. 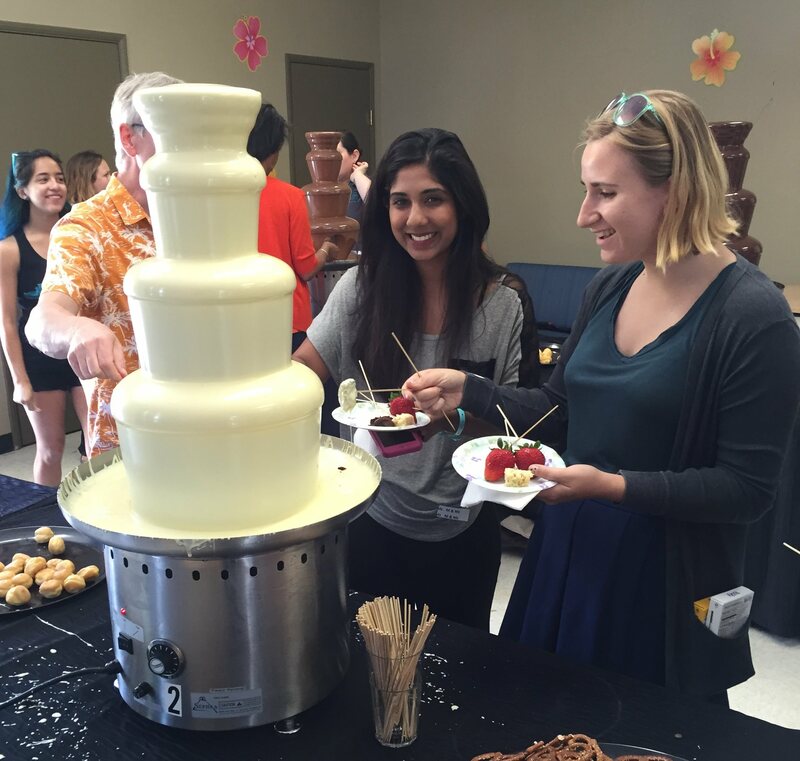 In this Chocolate Festival in a local college, we are serving more than 1,500 students using four 34″ fountains with dark chocolate, milk chocolate and white chocolate. 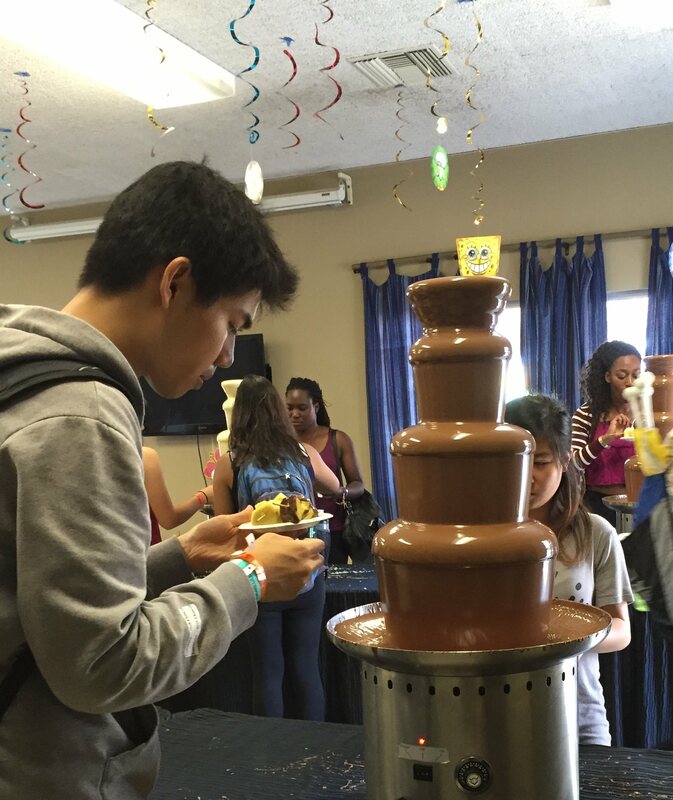 Dark Chocolate Fountain in Chocolate Festival. In addition, our staffs can re-fill the fountain during the serving so that they can serve more guests than the maximum capacity of fountain itself. 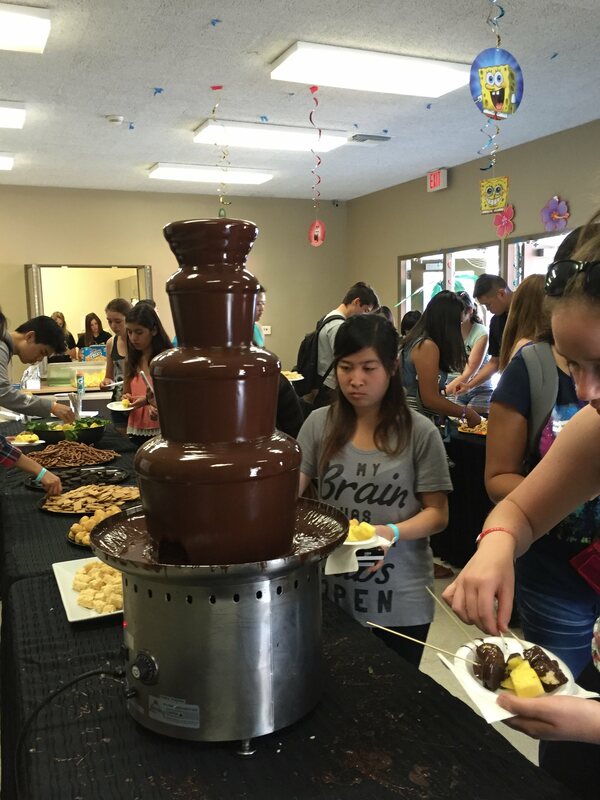 Given many fountains we own in the Chocolate Fountains of San Diego, we also support an event in the same school to serve more than 4,000 students before the finals.